UPDATE YOUR INFORMATION: And, nominate others! The Jack McGovern Coats’ Disease Foundation is proud to announce new updates to our website. Since 2006, the Foundation has made great strides in raising awareness and funding pivotal research to better understand and treat this rare disease. With our new website, we’ve introduced a range of new content, including a revamped Doctor Directory. The Doctor Directory serves as a resource for patients around the world and their families to swiftly identify preeminent ophthalmologists in their area. We are pleased to have you listed as a preeminent physician with experience in Coats’ Disease. You can see your listing here. At this time, we would like to verify your contact information and invite you to submit a recent photo to enhance your listing and help patients and their families connect. You may do so by completing this form. Additionally, we would like to invite you to nominate other retinal specialists whom you may know (from around the world) with experience in Coats’ Disease to be a part of our Directory. This will bring us closer to making certain that patients get the care they need. 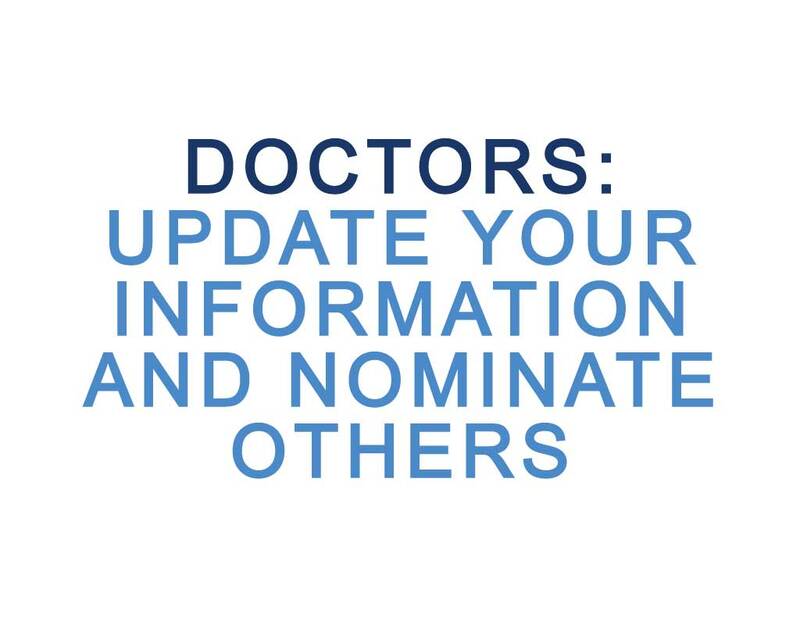 You may nominate another doctor by filling out this form. Once you nominate a doctor the Foundation will contact that doctor to make certain that they wish to be included and to verify contact information. We are regularly contacted by patients from around the country and around the world asking for names of doctors. You can make a difference by helping us grow our Directory. Until the day that research leads to prevention or a cure, the Doctor Directory provides a tool for patients to access quality medical care as quickly as Coats’ Disease demands. Thank you for partnering with us to make this possible.